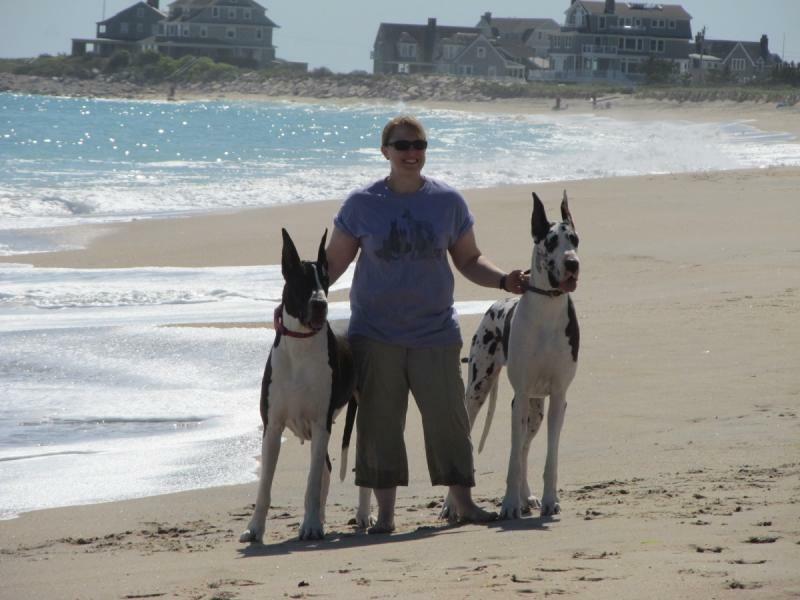 I am a veterinarian in Connecticut and a member of the Great Dane Club of America and the Great Dane Club of Oxford, Inc. (CT). 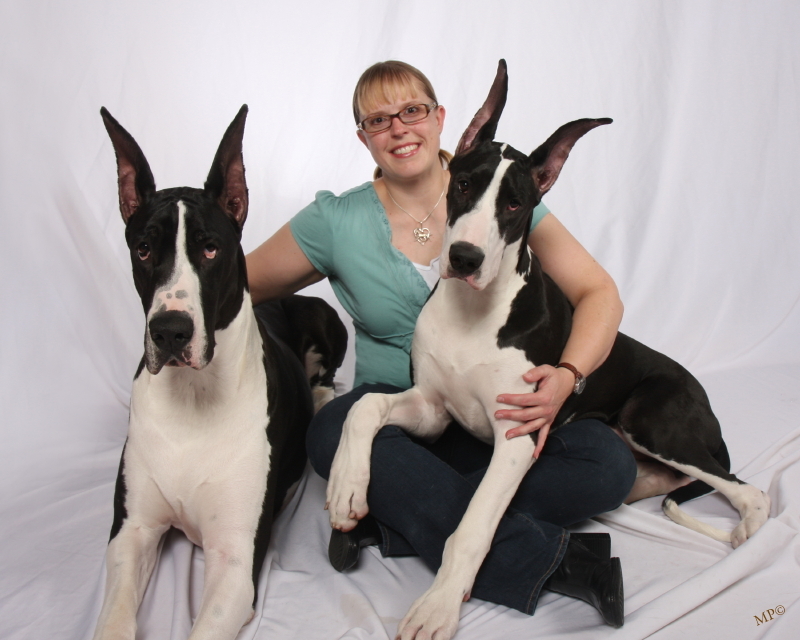 I am also an AKC judge for Great Danes (and 5 other working breeds) and an AKC Breeder of Merit. While I have always loved Danes, my heart was forever taken by the breed in 2002 when I bought a harlequin female named Palladium Dulce NT Sky W Diamonds ("Dulce"). She was a wonderful example of the breed. 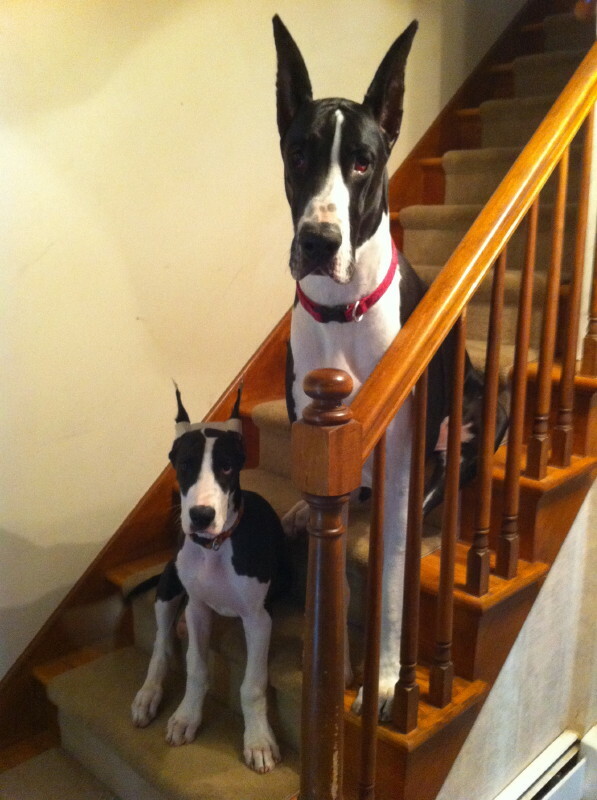 My Dane family now includes Spumoni, her daughter Pignoli, and Ralphie. I believe that only healthy and good temperamented dogs should be bred. I also believe that dogs are first and foremost our companions and should be a member of the family. I also feel that danes should not only fit the breed standard, but should be able to think and perform a job. They are a working breed afterall!